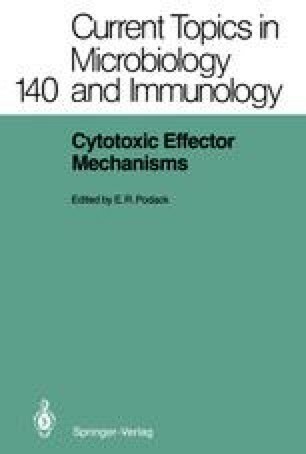 Although it has been known for a number of years that many of the effector cells that participate in immune responses have cell-associated proteoglycans, it has only recently become apparent that these highly acidic macromolecules reside within intracellular secretory granules rather than on the plasma membrane. Heparin proteoglycans are found in the secretory granules of connective tissue mast cells (CTMC) (Benditt et al. 1956; Yurt et al. 1977 a, b; Robinson et al. 1978; Metcalfe et al. 1979, 1980a; Razin et al. 1982; Bland et al. 1982). Chondroitin sulfate proteoglycans are found in the secretory granules of mucosal mast cells (MMC) (Stevens et al. 1986), lung mast cells (Stevens et al. 1988 a), basophils (Orenstein et al. 1978; Rothenberg et al. 1987), eosinophils (Metcalfe et al. 1982), neutrophils (Olsson 1969; Ohhashi et al. 1984), monocytes/ macrophages (Levitt and Ho 1983; Kolset et al. 1984), HL-60 promyelocytic cells (Luikart et al. 1984), bone marrow-derived mast cells (BMMC) (Razin et al. 1982; Stevens et al. 1985), and rat basophilic leukemia-1 (RBL-1) cells (Metcalfe et al. 1980b; Seldin et al. 1985). Human (MacDermott et al. 1985) and mouse (Dvorak et al. 1983) natural killer (NK) cells and rat large granular lymphocyte (LGL) tumor cells (Stevens et al. 1987) synthesize cell-associated chondroitin sulfate proteoglycans that are stored in cytolytic secretory granules.